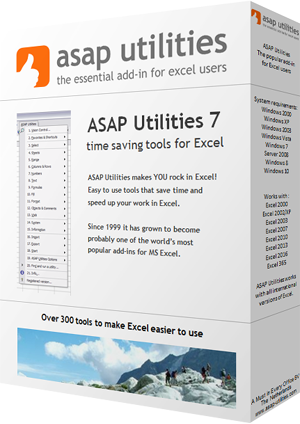 This utility allows you to select, hide or remove rows or columns based on a certain condition. With the criteria for text and duplicate or unique values you can choose if you want the utility to be case sensitive. When looking for duplicates the program also searches in hidden cells in your selection, with the other search options hidden cells are skipped.